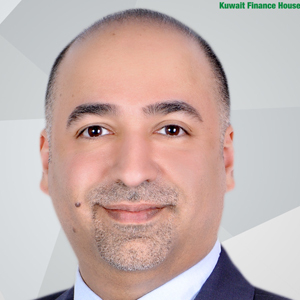 Fahad Khaled Al-Mukhaizeem, group chief strategy officer at Kuwait Finance House, describes new banking offerings for clients. Global Finance: What are the unique features of the Al Nuwair Deposit Account? And what about the Eservice Gold Account? Fahad Khaled Al-Mukhaizeem: Al-Nuwair deposit is an innovative investment deposit that promises clients with expected profit rates based on the shariah principle of wakala and offers clients an outstanding variety of investment opportunities. The reception from our clients was very encouraging. The gold trading through KFH online and mobile applications allows our customers to buy and sell gold biscuits via electronic channels. The service was launched in April 2016, and since then it has become the main channel to trade in gold at KFH because of the ease and affordability of the service. GF: Subsidiary Kuveyt Turk has launched a new credit card. Is it successful? Al-Mukhaizeem: Saglam Card is the new brand credit card from Kuveyt Turk. It's different in the sense that it allows consumers to pay their education and health-related expenses in five interest-free monthly installments. The new card has seen an immediate 300% growth in sales volume compared with the same period last year. GF: What other innovations are in the pipeline? ​Al-Mukhaizeem: The bank is looking into making payments easier, taking a page from Apple Pay or Google Wallet, where customers replace their credit card with the mobile phone. KFH has launched several innovative services recently, including banking transaction Push notifications through KFH mobile apps (IOS/Android), login to KFH mobile apps using fingerprints and a KFH app connecting customers directly to offers, services and discounts from merchants.